The Rand’s strength agains tthe dollar is set to continue throughout 2018 according to most financial analysts and that is of the foundations for the boost in South Africa’s mining sector. 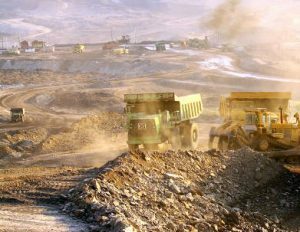 An excellent recovery in the prices of coal, iron ore, manganese and chrome over the last 18 months are are some of the key highlights from PwC’s ninth edition of SA Mine, a series of publications that highlights trends in the South African mining industry, according to a report today by www.bizcommunity.com. Coal maintained its position as the leading South African mining commodity revenue generator, increasing total revenue to R119bn ($9.5bn) from the prior year’s R105bn ($8.4bn). Manganese, iron ore and chrome are the only commodities that showed real production growth over the last 10 years. Safety is probably one of the biggest success stories in the South African mining industry over the last 20 years. Statistics provided by the department of Mineral Resources show a downward trend in fatalities for the industry over the past 10 years, indicating that improvements made in safety initiatives by both companies and the DMR are delivering positive results. The report also examines SA’s top mining companies are also looking towards innovative technology, alternative sources of capital, as well as standardised processes and systems to improve project delivery, in their efforts to mine and improve safety conditions in the industry. Numerous emerging technologies are on the radar of mining companies or been piloted as part of their digital transformation roadmap.